The pressure is on for 17-time Grand Slam champion Roger Federer, as he begins his quest for a fifth Australian Open crown. The Swiss No. 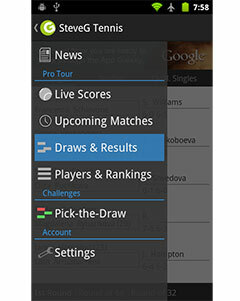 1 is scheduled to meet Australian wildcard entrant, James Duckworth, in the opening round on Tuesday afternoon in Melbourne, in what will mark the first time the two competitors meet on the tour. The former world No. 1 has had a year riddled with losses to the likes of Federico Delbonis, Sergiy Stakhovsky and Daniel Brands, which has surprised the vast majority of tennis fans. The Swiss star also went 0-7 against Nadal, Djokovic and Murray in 2013, making his arguably his worst season in the past decade. It was because of that disappointing season that the Swiss No. 1 decided that he needed to change this up this season. 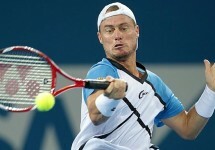 He made his debut at the Brisbane International and had performed with confidence throughout the week en route to the final, before ultimately succumbing to his old rival Lleyton Hewitt. The 32-year-old Federer had a strong showing in Melbourne last year, when he defeated Bernard Tomic, Milos Raonic and Jo-Wilfried Tsonga before losing to Andy Murray in the semi-finals. He will be looking to defend those points this season and possibly improve upon it and his first encounter will be against budding talent James Duckworth. Federer has never watched Duckworth play before and knows that this will be an entirely new competitor facing him across the net. One of the more interesting aspects to Federer’s game ahead of the season-opening Grand Slam is his new partnership with 6-time Grand Slam champion Stefan Edberg. Many are wondering if this is a sign that Federer intends on boosting his net game and changing up his approach during matches so it will be interesting to see if that factors into his performance in Melbourne. The Swiss star has also switched to a 98″ racquet frame, eight inches bigger than his last one, which will also play into his game. World No. 133, James Duckworth, began his season in Brisbane, where he was given a wild card entry into the event. He would only play one match at the tournament as he would lose in the first round to Jarkko Nieminen. He is now dealt the toughest match of his young career in world No. 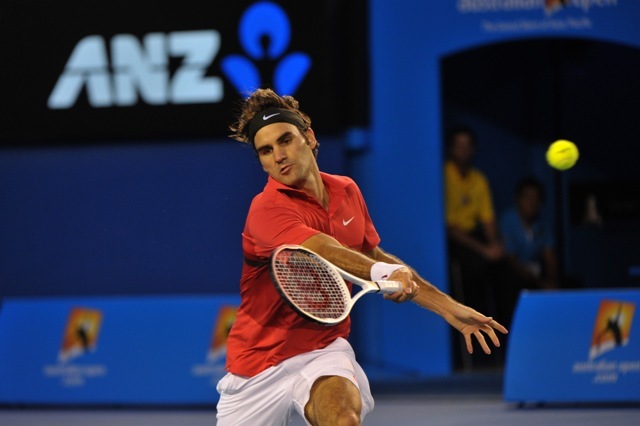 6 Roger Federer but will be looking to make an impression in front of the home crowd and look for the upset victory. Federer appears to be in good shape heading into his first round match on Tuesday. With no back problems and the momentum from reaching the finals in Brisbane the week prior, he should have no trouble dispatching the young Australian in straight sets.